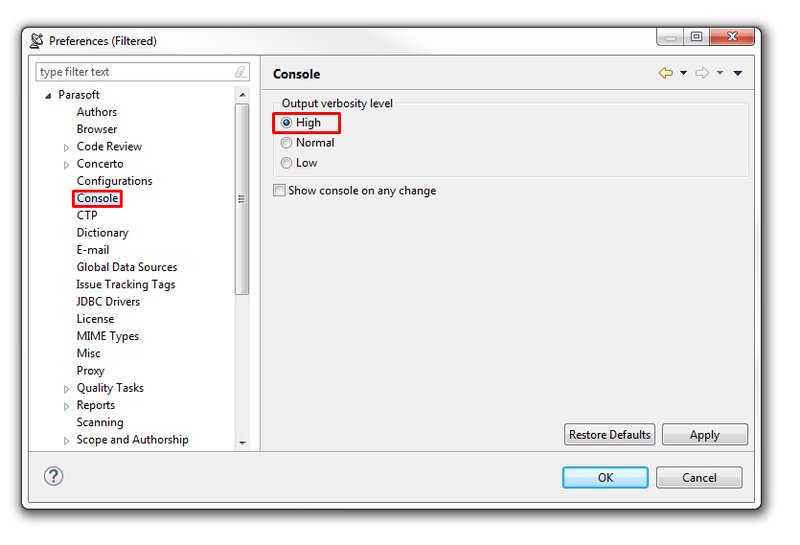 Initially, if a user is experiencing unexpected behavior such as build failures, warnings, or errors, the user should look over the console output and the Quality Task notifications to determine the reason for the behavior. 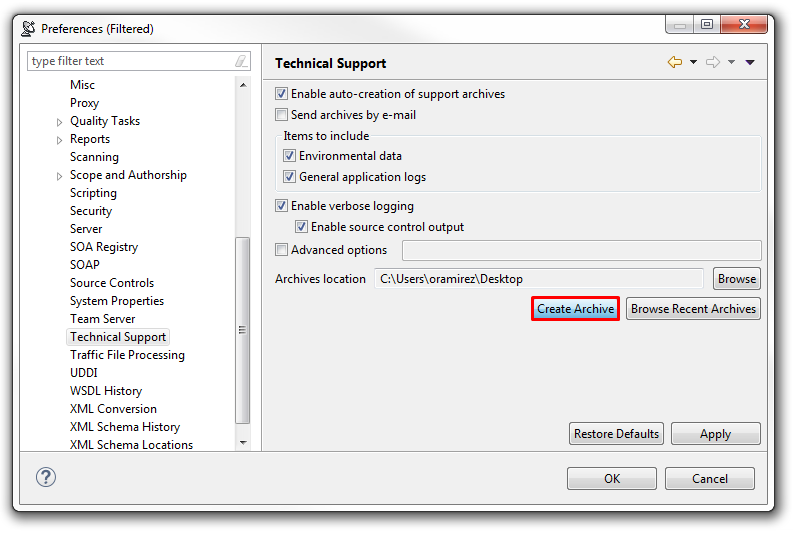 If the console or Quality Task notifications do not provide enough details to resolve the issue, the next step in troubleshooting is to create a Technical Support Archive. The archive is a zip file that contains the source file(s) that caused that failure (if applicable), as well as related test information. 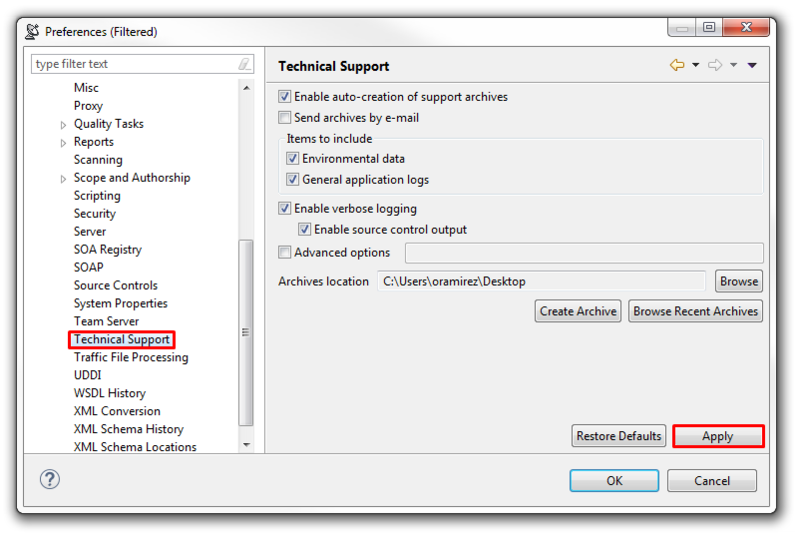 3) Click Technical Support on the left Panel and Apply all the settings shown below and click Okay. Note:You can change the Archives location to a more convenient directory (e.g., C:/ or desktop) to quickly retrieve the archive. 6) A zip file will be created with details on why the current errors may be occurring. 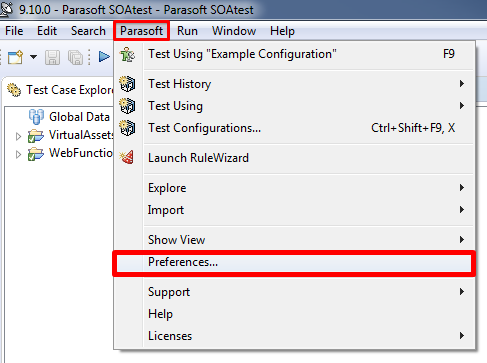 9) Open the xtest.log and do a search for a section of the error that you are seeing in the console or Quality Tasks view. 10) Analyze the error details shown alongside the specific error to get insight on what the source of the issue could be.